Atlanta Party Bus is the home of party buses in Atlanta. We are here for you, our customers, twenty four hours a day and seven days a week in order to provide service for you in Atlanta. Party Bus rental can be a chore and, without a doubt, we understand that. However, Atlanta Party Bus does it's absolute best in order to provide you with amazing service from start to finish. A happy customer is a repeat customer, and we take great pride in how many of our customers refer friends and family to us and we look to expand that word of mouth with each any every rental we book. We seek to ensure that when someone in Fulton or Dekalb is in the market for the a party bus we will have you covered. From North Decatur to Lithonia and everywhere in between we are here to serve you in your party bus and limousine needs. Whether you are calling Atlanta Party Bus in order to get a one hundred percent risk free quote or you are calling us in order to schedule a time to come and see a party bus that Atlanta Party Bus has to offer, as a customer you can rest assured that we are here for you. We welcome our loyal customers to come down and take a tour of our vehicle fleet and find the perfect party bus for their needs. From the moment you speak to any representative of Atlanta Party Bus on the telephone, you will feel comfort in knowing that we will do whatever it takes to make sure that you understand the entire process of booking a party bus trough Atlanta Party Bus. 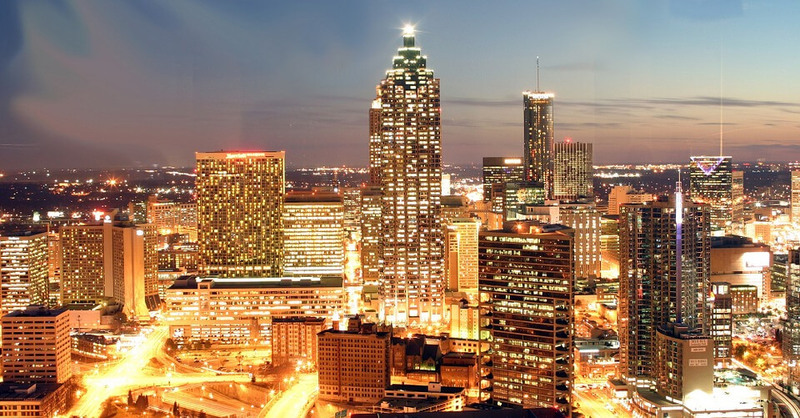 We're Atlanta's favorite party bus and limo company. We're here for all your transportation needs. Give us a call and allow us to take the stress out of planning your party transportation.